Thomas Keneally has 2 media appearances. Thomas Keneally discusses The Great Shame: And the Triumph of the Irish in the English-Speaking World. Thomas Keneally-"The Daughters of Mars"
Thomas Keneally, the award-winning author of Schindler's List will be at Warwick's on Sunday, September 15th at 6:30pm to discuss and sign his newest novel The Daughters of Mars. Reserved Seating is available, please call the Warwick's Book Dept. at (858) 454-0347 for more information. From the acclaimed author of Schindler’s List, the epic, unforgettable story of two sisters from Australia, both trained nurses, whose lives are transformed by the cataclysm of the first World War. Yet amid the carnage, Naomi and Sally Durance become the friends they never were at home and find themselves courageous in the face of extreme danger, as well as the hostility they encounter from some on their own side. There is great bravery, humor, and compassion, too, and the inspiring example of the remarkable women they serve alongside. In France, where Naomi nurses in a hospital set up by the eccentric Lady Tarlton while Sally works in a casualty clearing station, each meets an exceptional man: the kind of men for whom they might give up some of their precious independence—if only they all survive. Read the New York Times review of The Daughters of Mars here. Tom Keneally reads from The Daughters of Mars. Thomas Keneally reads from Australians. Volume 2, Eureka to the Diggers. Tom Keneally reads from Three Famines. Tom Keneally discusses Three Famines. Thomas Keneally is currently considered a "single author." If one or more works are by a distinct, homonymous authors, go ahead and split the author. 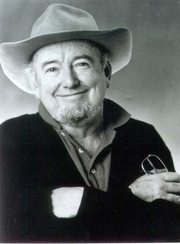 Thomas Keneally is composed of 16 names. You can examine and separate out names.